A California State University student has made history as the newly-elected president of the National FFA Organization. 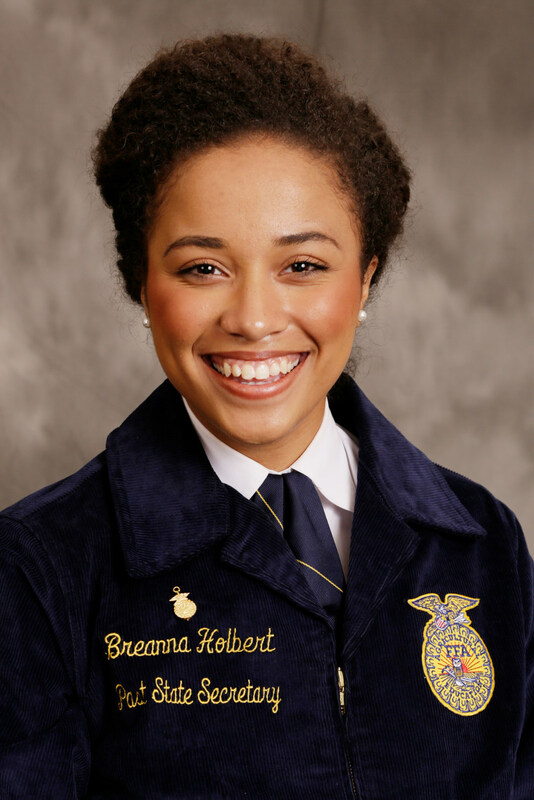 Breanna Holbert, an agricultural education major, is the first African-American woman to be elected to the position, the organization announced Saturday. She was elected by fellow delegates at the 2017 National FFA Convention & Expo in Indianapolis last week. Following in the historic footsteps of Fred McClure, the first African-American national FFA officer elected in 1974, and Corey Flournoy, the first African-American national FFA president elected in 1994, Holbert is one of six African-Americans to hold a national office. Mark Poeschl, CEO of the National FFA Organization, said Holbert, along with her teammates "have the leadership skills to lead our organization during this next year." "Together, she and her team will help tell the story of FFA and agricultural education and create awareness around premier leadership, personal growth and career success," he said. In a heartfelt social media post Sunday, Holbert reflects on the reality of new position and expresses gratitude for the opportunity, calling it "unique, beautiful, challenging, and all encompassing." "This jacket, this experience of a life time means nothing without the family, friends, advisors, and mentors who have guided me and loved me without question. You are why I am here. I am so blessed," said Holbert on Instagram. National officers serve in their positions for one year, traveling to connect with over 100,000 teachers, sponsors, education, and government officials, the organization said in a statement. The Future Farmers of America, founded in 1928, and later called The National FFA Foundation, aims to build partnerships with companies in various industries to obtain resources and funding for the agricultural organizations, education, and student development.